The CoffeeShop Blog: CoffeeShop "Aphrodite Luxe" Photoshop/PSE Action! CoffeeShop "Aphrodite Luxe" Photoshop/PSE Action! One of my most favorite actions of all time is Aphrodite. Today I was editing some photos and decided to steal some of the effects from Aphrodite and add a beautiful blue tint to the shadows and my newest free action "Aphrodite Luxe" was born! This action is beautiful on still life and portraits. I found the gorgeous images used in this post from Jill Wellington's Pixabay account (Chair in Field, Summer Still Life). "Aphrodite Luxe" is completely adjustable and has four layers (Aphrodite, Luxe, Matte Effect, and Rescue Whites). 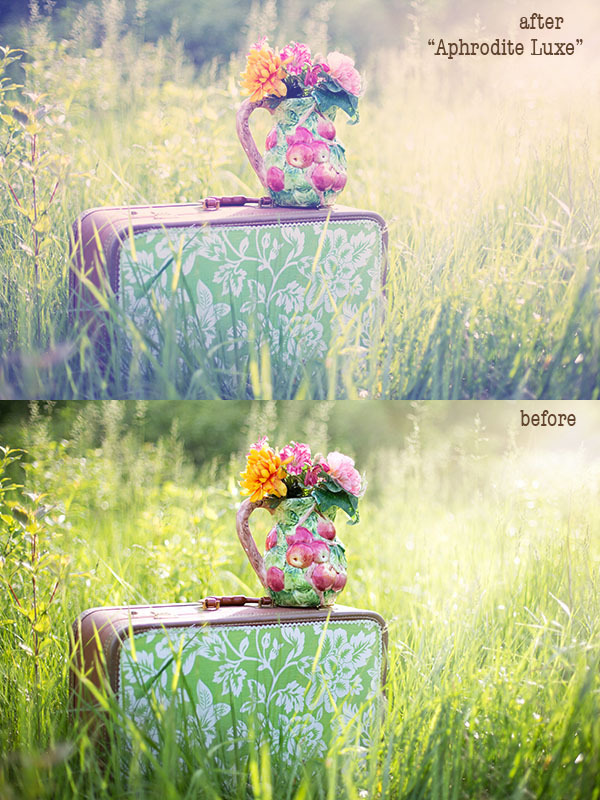 Turn the layers off or adjust their opacities to get your own beautiful custom edit! I would love to see your before/after's posted on my Facebook page. I sometimes post my favorite reader edits here on my blog (with your permission of course!). Download the CoffeeShop "Aphrodite Luxe" Action! You can also download it here. 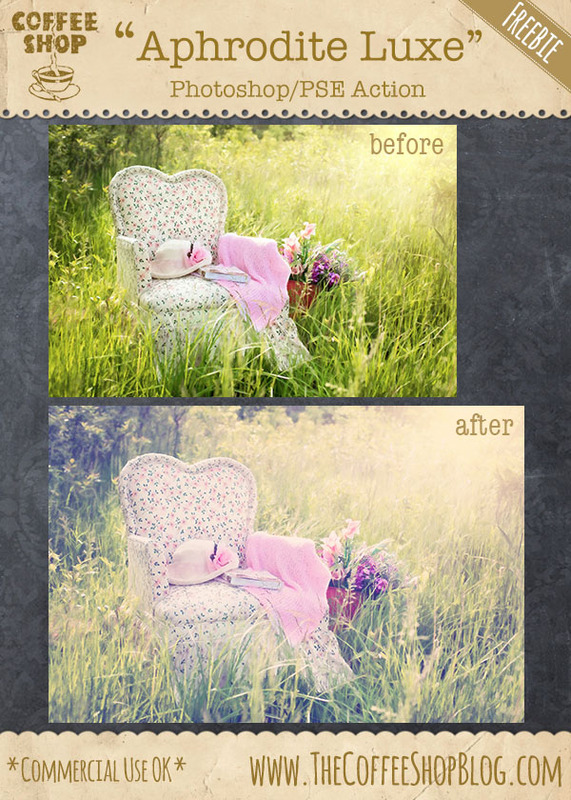 Do you want to download my favorite CoffeeShop PSE/Photoshop Actions (including this new one!) 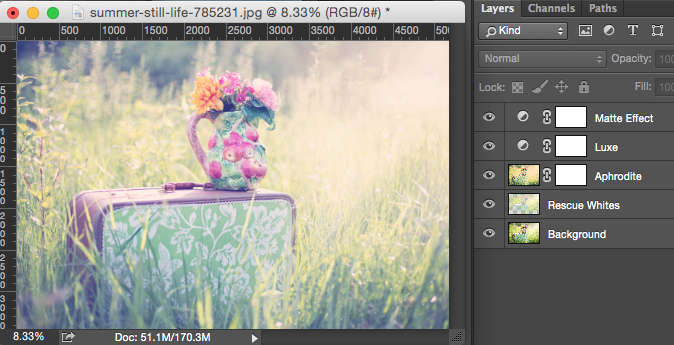 and Lightroom Presets or Design Elements in one convenient zipped file AND help support this blog? Just click here for my action pack or here for a download of some of my most popular design elements, storyboards, and textures. Wow. What a pretty effect. Thanks Rita. I'm off to check out the original Aphrodite as well.